Coach a student – Make a difference in 2018! At WriterCoach Connection, we believe that critical thinking and clear writing skills are essential for a young person to succeed at school and beyond. 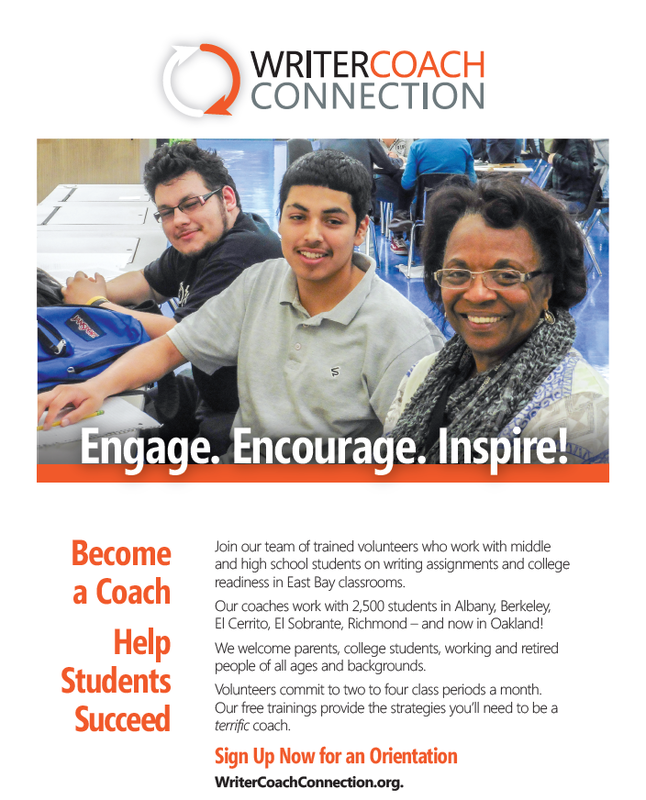 Join our team of trained volunteers working with middle and high school to provide much needed support in these areas. Coaching is a great way to engage with young people in our public schools and be an integral part of your community.